As we drove over the Sanibel-Captiva Island Causeway, I immediately felt a sense of calm and peacefulness; I seriously did not have a care in the world. I was eager for a little adventure with my good friend Nita and was more than ready to get started on our mini vacation. Immediately over the causeway is the Sanibel & Captiva Islands Chamber of Commerce that has the most current issue of Must Do as well as brochures and information so you can fully enjoy your visit to these magnificent islands. We left the visitor’s center and headed over to Jerry’s Foods on Periwinkle Way in search of something for lunch. This neighborhood market was larger than I expected and was much more than just a grocery store. 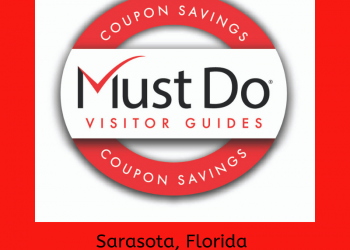 Jerry’s offers everything from a deli and salad bar, already prepared sandwiches, soups, on-site bakery, produce, and flowers to fresh fish and mouth-watering steaks and other meats. Jerry’s Foods also has a restaurant that is open daily from 6 a.m. to 10 p.m. serving breakfast, lunch, and dinner in a family atmosphere. 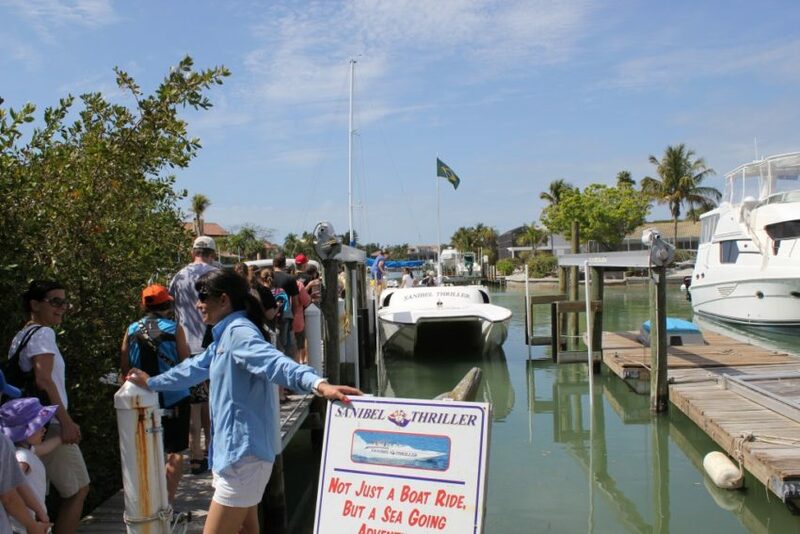 After grabbing a sandwich and some drinks, we headed to Sanibel Marina where we had reservations to ride aboard the Sanibel Thriller. This sleek 55’ motor yacht was comfortable, speedy yet extremely smooth and just plain fun. 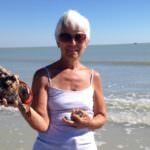 The one and a half hour excursion took us all the way around Sanibel and Captiva Islands. Our excellent and friendly narrator, Lena, was a wealth of knowledge about the area and shared many interesting facts, tales, and stories about the islands, local wildlife and residents who have or still reside on these beautiful islands. The local dolphins that inhabit the crystal clear, turquoise waters have also discovered how to make themselves the center of attention. What a beautiful site it was to observe these dolphins and their calves in their natural habitat as they surfed and played in the wake of the boat. It was visibly apparent they were enjoying themselves and likely relished the attention. We didn’t see this just once but many times as we circled the islands. 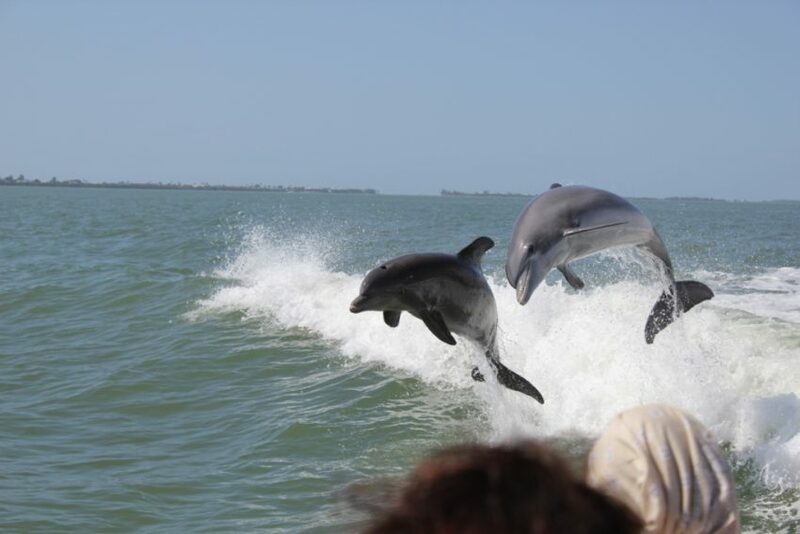 The tour was a terrific way to experience Sanibel and Captiva Islands from the water, discover interesting tidbits and, of course, get the rare opportunity to see dolphins so closely. 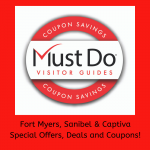 The Sanibel Thriller is not covered so remember to bring a hat and sunscreen! 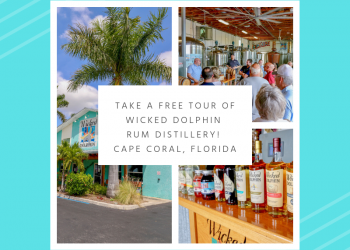 Off we went to our next adventure which was a Dolphin Watch and Wildlife Adventure Cruise aboard the MV Lady Chadwick with Captiva Cruises. The weather couldn’t have been better. 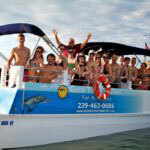 This daily cruise departs from the South Seas Island Resort on Captiva Island at 4:00 p.m. 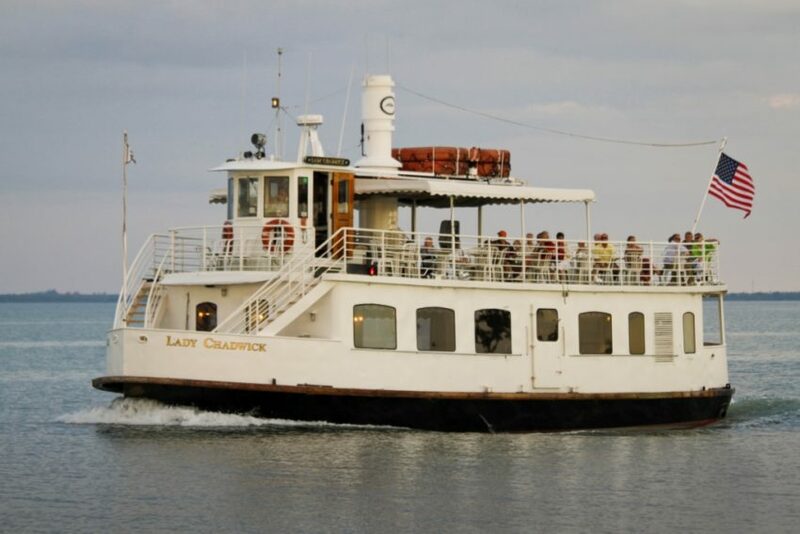 The Lady Chadwick was very spacious and had an air-conditioned main cabin with an upper deck that is partially covered with lots of tables and chairs. 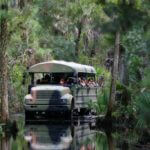 It also has restrooms, snacks and a full-service bar – gotta love that! 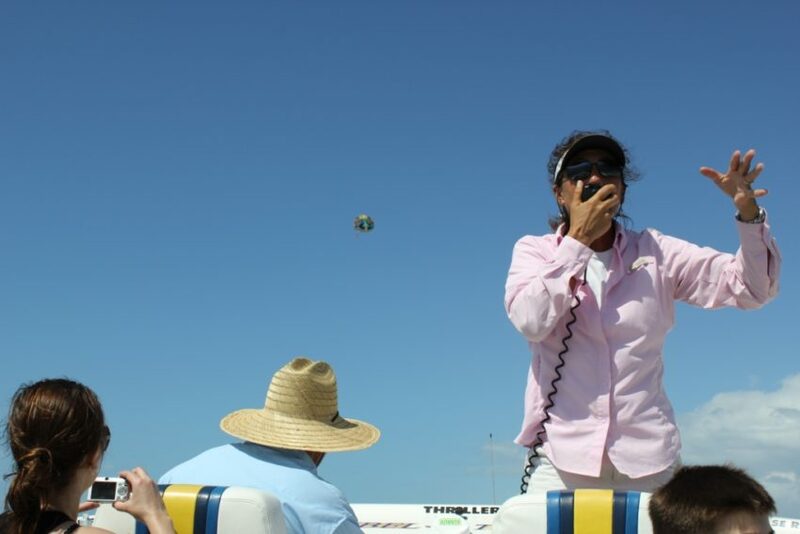 With us on board was a volunteer from the Sanibel and Captiva Conservation Foundation who was exceptionally knowledgeable about the local wildlife and history of the islands. It was a lovely, relaxing cruise. We also had the good fortune of witnessing dolphins frolicking in the wake. Good times, indeed. 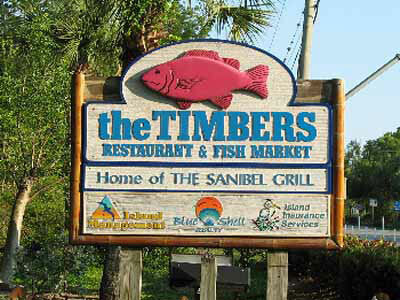 For dinner, it was suggested that we try The Timbers Restaurant & Fish Market on Tarpon Bay Road. Upon arrival, we moseyed up to the bar and ordered some cocktails while we watched a fish being filleted for someone’s dinner. Now that’s what I call fresh! The restaurant has call ahead seating so once we arrived we were seated almost immediately. The Timbers has an island like, laid back ambiance and our server was attentive, friendly and especially helpful in assisting us with the all-important task of deciding on what to devour as we were famished. They specialize in seafood but had many other options as well. We were both quite pleased with our meals; it was the ideal way to end our enjoyable day and we would happily return on our next visit.